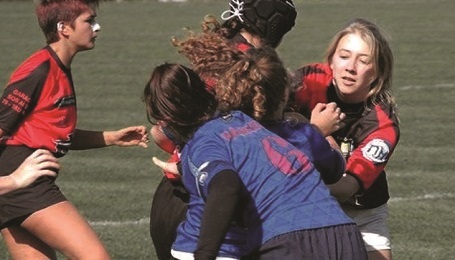 We asked Ashleigh Swift, an 18-year old rugby player and referee to highlight how the women’s game is progressing. 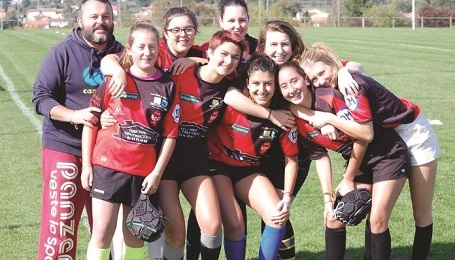 She explains, “When I first started playing rugby at the age of 14 I was the only girl in my local team at Rugby Olympique Club Mellois. We had training once a week and playing rugby with the boys was tough at times but, at the end of the day, that’s the nature of the game. Later, I was able to attend a rugby school where we had training four times a week and went to the gym for weekly bodybuilding sessions. This also involved playing in lots of different competitions and tournaments, even the Championnat de France, coming fourth out of twelve. There are tremendous opportunities as well as actually playing in a team. Referees are not only respected and have the last word in the game but one mistake can change the whole game. For this reason they have to know the rules inside out. They also have to be as fit as the players and have enough stamina to last 80 mins of a match running non-stop. Unlike the ball, there is no stopping women’s rugby. Find out more at your local rugby club.